6 bottles of AlmondPlus Chia Seeds in 1 case. 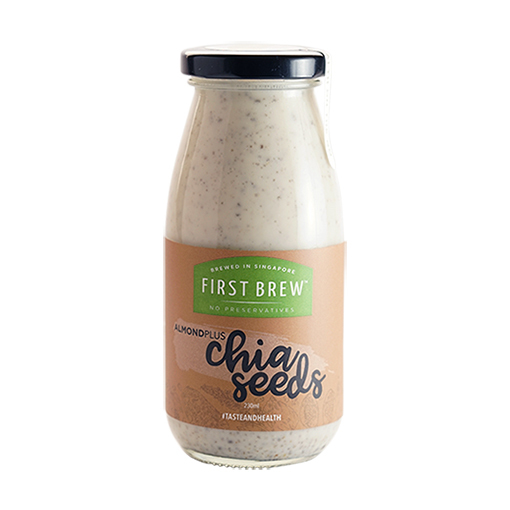 First Brew AlmondPlus Chia Seeds is one of our fan favourites. 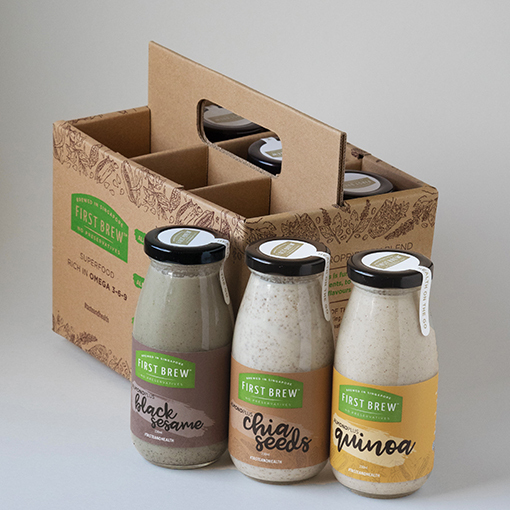 In addition to the countless health benefits of daily consumption of this milk-alternative drink, Chia Seeds jumpstart your day with digestive, skin, heart, and energy boosting benefits. 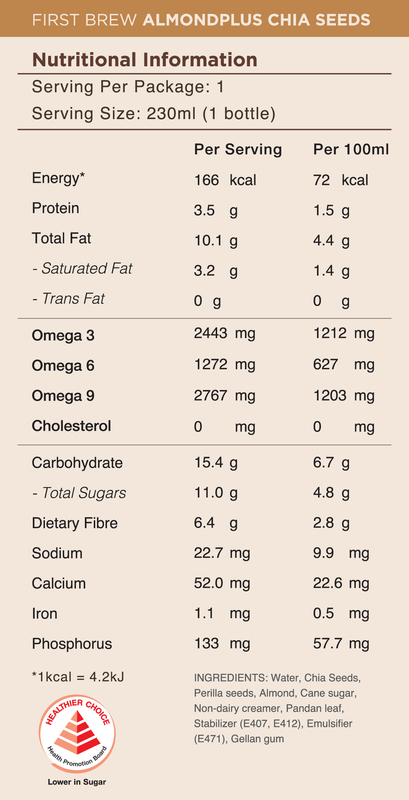 Chia Seeds can also help you eat less and stay full longer, great alternative for weight loss program. Free delivery even for 1 case NOW! What’s more?! You can opt for subscription plan to enjoy monthly benefits and surprises. Did you know Chia Seeds give your stomach a full feeling for a longer period of time? Believe it or not, Chia Seeds, found in First Brew AlmondPlus, are considered the richest plant with soluble fiber that not only makes you feel full, but can aid in your weight loss journey. Chia Seeds also offer antioxidants that can help slow aging by fighting the production of free radicals that can damage the molecules in the cells and contribute to aging.